Any Video Converter is an awesome YouTube to Mp3 converter which could enable you to exact the fantastic music from YouTube video to your Mp3 player within just a few minutes. So you are able to listen to your favorite YouTube tracks on every Mp3 player. 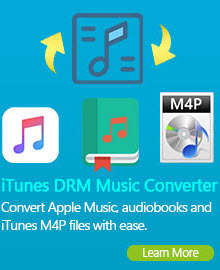 In addition, it is not only a YouTube to Mp3 Converter, but also a powerful and versatile video converter. It can convert video files from mpg, avi, divX, mpg, vob, wmv (Windows Media Video formats), 3gp (mobile phone format), asf, mov, rmvb and more into mp4, avi, mpeg and wmv files with fast speed and high video and audio quality. 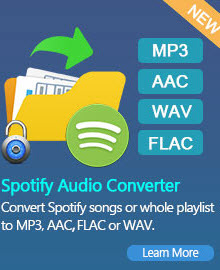 This YouTube to Mp3 Converter is a superb YouTube Audio Converter. This is software that can be installed by computer users locally, to convert the audio tracks of YouTube videos into MP3s or other music formats(wav,wma, etc) and save. All you need is just a YouTube video URL link and the YouTube to Mp3 Converter. Just a few minutes and several clicks, the Mp3 music files is saved directly in the local music folder. Similar to YouTube Audio Converter, the YouTube to Mp3 Converter is also a special form of YouTube Video Converter. Using this program to download YouTube videos will be possible. Just with some URL links, the YouTube video would be stored on your computer. This YouTube Video Converter also provide you a choice of video output formats. This allows the video from YouTube be stored either in native Flash FLV format or in a variety of other video output formats for various portable media players and Smartphones, such as AVI or MPEG. Thanks to the wonderful YouTube Converter, users can download and convert any YouTube video or audio file and view them on local computer. How to use the YouTube to Mp3 Converter? Paste the URL into our super high speed and super awesome YouTube to Mp3 converter. YouTube is a video-sharing website on which users can upload, share, and view videos. The company is based in San Bruno, California, and uses Adobe Flash Video technology to display a wide variety of user-generated video content, including movie clips, TV clips, and music videos, as well as amateur content such as video blogging and short original videos. Most of the content on YouTube has been uploaded by individuals, although media corporations including CBS, BBC, Vevo, Hulu and other organizations offer some of their material via the site, as part of the YouTube partnership program. Users can watch music videos from all of your favorite artists. YouTube is your source for thousands of music videos including popular and just released titles. It also provides feature length movies, shorts, and trailers on YouTube. YouTube are adding new movies frequently including classics, documentaries, and independent films. Music for us humans is a big part of life. Without music we would not feel as comfortable as with. It relaxes us and makes us a good mood. There are many types of music, such as: Techno, Hip Hop, Jazz, Rap, Rock, Pop, Trance and many more. Each of these has its own genre Publium. This differs between appearance, behavior, age and origin. Techno and hip-hop scene is mainly in the young pretty popular. Many young people can indentifizieren them and emulate their role models. Through music videos, a certain hype is triggered by the respective stars. They embody the people's money, power and influence. Some stars get exactly those things to which you head, then replace in the background. In general, music is still very pleasant and without it we would be lost.